I actually somewhat cooked last night for the first time in forever because grief makes you somewhat non-functional. Which is why the tradition of bringing food to those who have had a tragic loss is such a great one. Also, food is awesome, as I discovered yet again when my amazing friends and community mitzvah meal’d, sent loads of See’s candies, and even had a chef prepare amazing gluten-free gourmet meals. Yes, I am #blessed to have people in my life who are ready and willing to take care of gluten-free me and my people in my hungry household. While I was chowing down on stuffed baked potatoes and enchiladas (not at the same time, I’m not that insane), I was approached by the lovely Erin of Crafted Gluten-Free subscription box. She wanted me to check it out and she was local so, bonus! When Erin dropped this off I was actually hiding under the covers, as I do about once a day or so, so it made me realize how gluten-free subscription boxes are a great way to feed your gluten-free friends during a time of need, celebration, or just general “I’m hungry!” times. Being super lucky, I had friends and community work hard to make sure my gluten-free food was in fact, gluten-free. But if you are on the receiving end of gluten-free food, and don’t know if you can trust the source, wouldn’t it be rad to get a box of pre-screened food? Also, why not go full cookie? Why not, indeed. So spread the word to your loved ones that here’s another safe way to get food gifts for those of us who can’t hang with the gluten. Also, cookies. 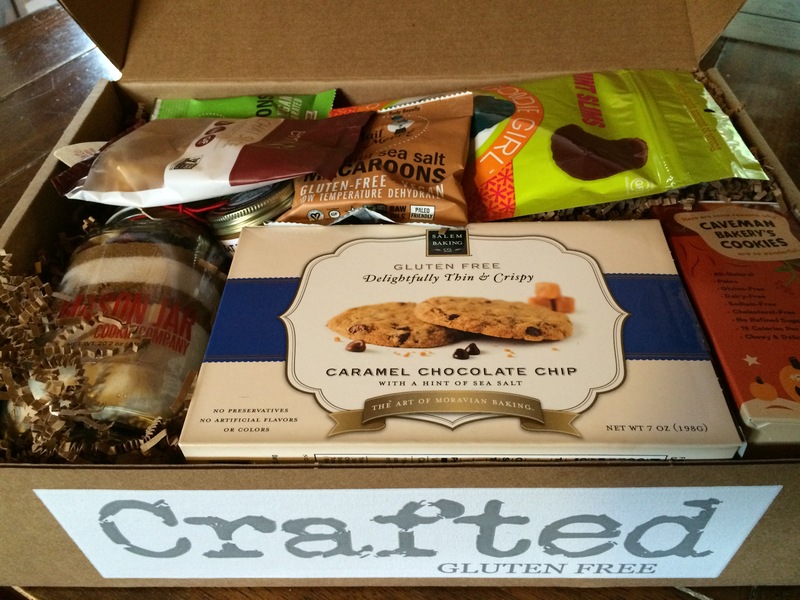 Tags: celiac disease, gluten free cookies, gluten-free gifts, gluten-free subscription box. Bookmark the permalink. Again, so sad and sorry about your dear mom. This is such a helpful post because no one wants to deal with food when they’re grieving, so this would be quite a gift.